Bush told the group he hopes "those responsible in Washington can dial down the rhetoric, put politics aside, and modernize our immigration laws soon." 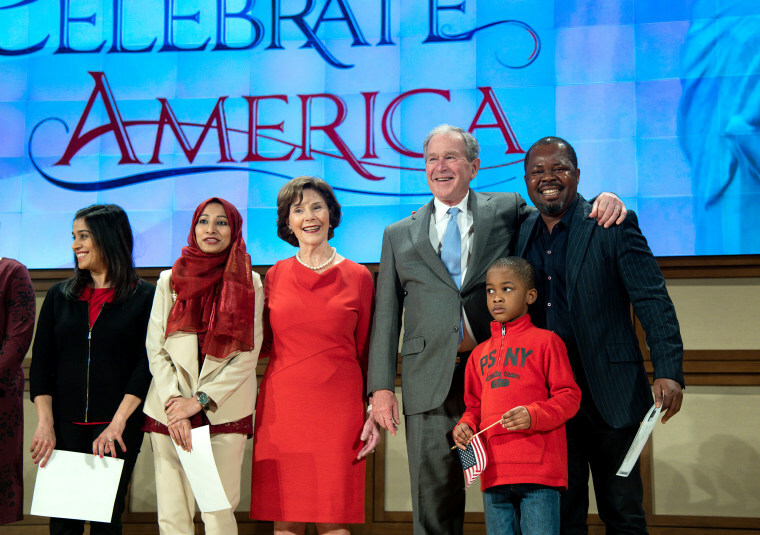 DALLAS — Former President George W. Bush welcomed new U.S. citizens during a naturalization ceremony in Dallas, saying that "amid all the complications of policy, may we never forget that immigration is a blessing and a strength." He told the group that came from more than 20 countries that he hopes "those responsible in Washington can dial down the rhetoric, put politics aside, and modernize our immigration laws soon."